Joseph Mohr, the illegitimate son of Anna Schoiber, was born in Salzburg on 11 December, 1792. His father was claimed to be Joseph Mohr from Mariapfarr, a fusilier who deserted half a year before his son was born. Despite these unfavourable circumstances in the first years of his life, Joseph Mohr went on to achieve a good education. 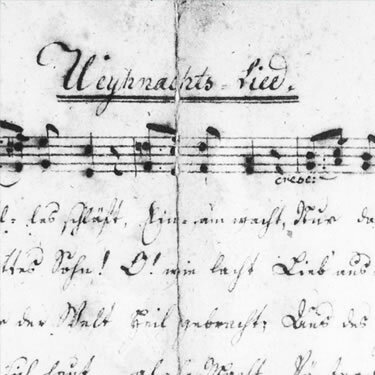 The cathedral choir vicar, Johann Nepomuk Hiernle, made this possible for him, probably because of his musical talent. He therefore had lessons in singing, violin and organ very early on. Soon he was singing in the university choir and in St Peter’s monastery choir. 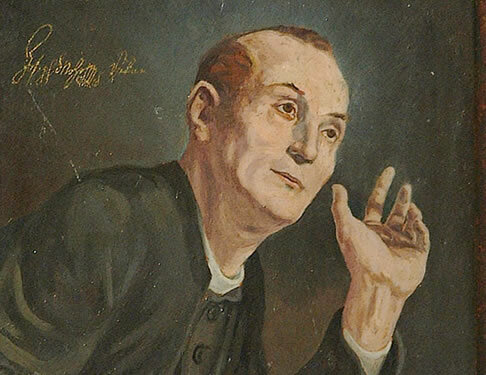 In 1815, Joseph Mohr was anointed as a priest in Salzburg Cathedral. 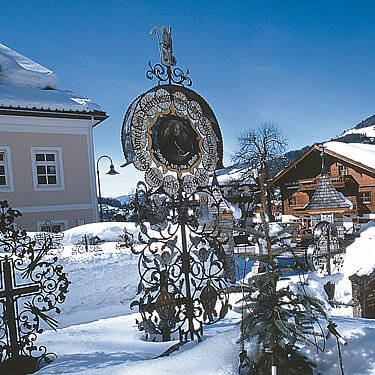 He began his pastoral duties as an assistant priest in Ramsau near Berchtesgaden. That same year he was transferred to Mariapfarr. A serious illness in 1817 meant he was sent to convalesce in the flatlands, in Oberndorf. Towards the end of his leave of absence, he nonetheless asked to stay on in Oberdorf and this was granted to him. He made friends there with the Arnsdorf teacher and Nikolaus Church organist, Franz Xaver Gruber. Mohr moved around a lot in the following years. From 1828 to 1837 he was the vicar in Hintersee before he came to Wagrain, which was to be his last posting before his death in 1848. 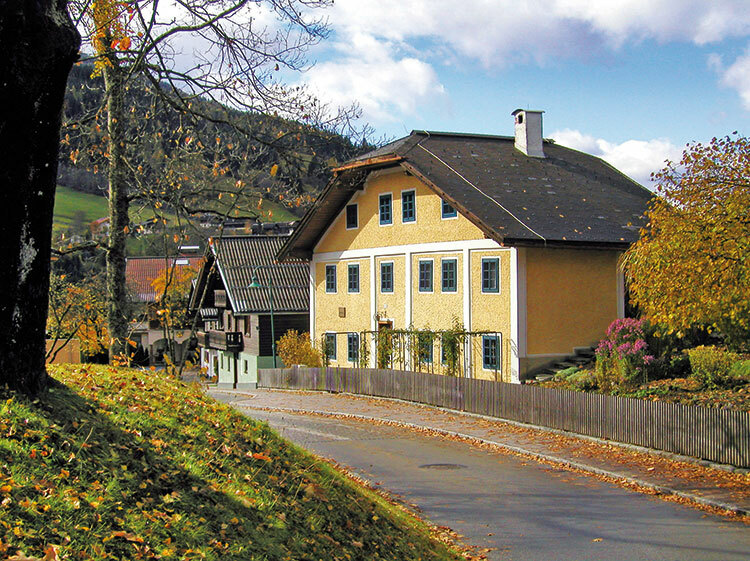 Mohr’s commitment to Wagrain and its inhabitants made a strong and lasting impression. Already in his first year there, he succeeded in getting a primary school built. Before that, 170 children were taught together in one small room. It was, for those times, a perfect example of what a school house (todays’s “Joseph Mohr School”) should be and in 1838, it was personally inaugurated by the Cardinal Prince-Archbishop of Schwarzenberg. Mohr also succeeded in enabling poor children, whose parents had problems finding the school fees, to attend the school anyway. He established a “School Fee Fund” as a way of equalising the situation, and administered this until his death. He financed this fund by way of collections, donations and also personal sacrifices. Father Mohr’s care went out especially to the poor and the old, and he set up an informal social system especially for them. This meant that poor and old people could go from house to house and be looked after for a certain amount of time. Joseph Mohr died on 4 December, 1848 in Wagrain. His grave is by the main entrance to the church beneath a forged metal lattice cross in the place of the former 400 year old church linden tree. To commemorate it takes place annually on 26 December that of OSR. Joseph Hutter initiated "Joseph-Mohr-Gedächtnissingen" in the parish church of Wagrain.